What do you imagine when you read the word: “mastermind”? Is it an evil genius? A mad scientist? How about a group of people coming together around a common problem and leveraging their knowledge and perspective to discover creative solutions? This is what masterminding is all about! In this article, I will outline how to implement a mastermind dojo. Your dojo must exude a welcoming atmosphere. It must be welcoming of new people from different backgrounds. A strength of your dojo should be its diversity. The key is to stack your student body with differing perspectives. This not only applies to people of different cultures, but people from different martial arts as well. It doesn’t matter if a new student is coming from a background in Karate, Tae Kwon Do, Kung Fu, Brazilian Jiu-Jitsu, MMA, etc.. They need to feel that their knowledge is welcome within the walls your dojo. When people recognize that they are welcome and included in the dojo they are more apt to be open with their ideas as well. Instead of an place that invites only one closed group or ideology, you want to create an environment that is open to many different people and ideas. 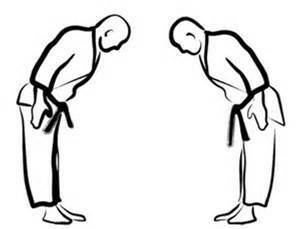 Your dojo culture should be founded upon mutual respect between students and respect for anyone who chooses to pass through your door. I am also including instructors in the student category here because any good instructor should continue to be a student of the art himself. This leads to the next point: rank is not for the person who holds it, it is for the art. Rank should be an indicator of experience and dedication. However, it does not mean that someone’s opinion is more valid just because they hold a higher rank. Higher rank only means that you should facilitate learning to a higher degree. Never let rank go to your head. Remember what was required to attain that rank in the first place: a willingness to learn. Lastly, it is more about conflict than competition. At this point you might be thinking, “Wait?! What’s the difference and shouldn’t conflict be avoided?” Let me explain. For one, conflict isn’t always bad. Sometimes it is actually very good. All growth occurs out of some kind of struggle or conflict. Competition is a form of conflict but it is a zero sum game. For every winner there has to be a loser. The objective for passing on the art is that everyone gains by learning and improving. One of the reasons why this model works well in a dojo setting is that martial artists are accustomed to functioning within conflict without letting it consume them. How many training sessions have occurred where training partners give it their all during an intense sparring match…the one where each person is looking to land that body-stopping combo, decisive throw, or wicked submission? What usually happens right beforehand and right afterward? They bow, slap hands, fist bump? Maybe all three? Regardless, there is almost always some display of mutual respect between training partners and appreciation for the opportunity to train together. Mutual respect is maintained and learning is accomplished even in the midst of intense physical conflict. The key is to have an environment where conflict is permitted but controlled. When conflicting ideas arise they are allowed to coexist and hash themselves out without degrading into an an ego-fueled argument. Depending on your dojo culture you might already be prepared to start implementing a mastermind or you might find that your dojo culture could use some work. Either way, a healthy culture must be established before you can start the implementation phase. Mastermind - “The coordination of knowledge and effort of two or more people, who work toward a definite purpose, in the spirit of harmony." So, you fostered the right environment and now it is time to start implementing a mastermind. First, you must choose a group to begin with. Perhaps you choose to begin with more experienced students at first, since they have more knowledge to draw from, and gradually implement down the ranks. Maybe you decide to include everyone immediately. You could form one or multiple groups at each class. You could designate specific sessions as “masterminding sessions”. You know your own dojo best and you should implement in a way that makes the most sense for your dojo’s unique circumstances. The challenge could be anything and issued by anyone. In my dojo, I often challenge students to come up with as many applications of a given movement as possible. Other times, I challenge them to use different techniques which all share a common principle. If you already have a set curriculum you can use it as a guide. The challenge doesn’t necessarily have to be a physical one either. You could start a conversation about the conceptual subject matter of your art as well. Be as creative as you like! Every session or class should have at least one challenge to focus on. The mastermind only works if everyone is engaged and everyone is being honest. Let’s discuss engagement first. If it is consistently only the same few people talking out of a whole group ask one of the other members specifically for their input. Encourage everyone to contribute. Open up the floor to as many ideas as possible. Now let’s talk about honesty. Students should be honest through their actions and honest through their words. Honesty through action pertains to the realistic execution of movements and techniques. They must be performed with intention and in a realistic manner. For example, training a student to slip a punch isn’t very effective unless the punch is actually aimed at her head. Honesty through words pertains to being truthful with expressed thoughts and feedback. Telling a student he sunk in a good choke when it was actually a neck crank isn’t helping anyone get better. It’s a fact of life that as long as everyone is being honest there are bound to be disagreements. This doesn’t have to be negative. In fact, disagreements can be great learning opportunities as long as people approach them with a constructive mentality. The key to mediating disagreements is to keep the energy focused on attacking the challenge and not the person. There is no place for ad hominem in the dojo. Give everyone the benefit of the doubt. Approach every student’s opinion as if it is truly coming from a good place and out of an effort to understand. Acknowledge both the good points points and the weak points in each argument and drive the discussion toward a positive outcome. Remember, it is okay to be wrong. It’s not okay to come away from it without gaining something constructive in the process. Correct a student’s behavior if correction is necessary (safety, etiquette, technical details) but always set a positive example for dealing with differences in opinion. Furthermore, allow differences in opinion to exist. When your group is making progress toward a conclusion it is important to keep that momentum going. The way this is done is by asking facilitating questions. These types of questions keep the conversation moving forward. Everyone should be encouraged to ask facilitating questions. Three types of facilitating questions are: clarifying questions, challenging questions, and leading questions. Let’s discuss each. It’s hard to make progress unless everyone is on the same page and has a clear idea of what is being discussed or practiced. To ensure that everyone has a clear picture in their heads we use clarifying questions. A clarifying question is simply a request for more information about an idea. They are used to further define or specify a thought. Just because we are able to come up with a lot of potentially great ideas does not mean that every idea we come up with is actually great. We all know of many ideas that look splendid on paper but absolutely bomb in real-world application. It is important to scrutinize ideas in order to ensure that that they actually work. Think about it as quality control. With so many ideas flying around how do we make sure that they are grounded in reality? This is where challenging questions come in handy. You can challenge an idea in several ways. Here are a few to get you started: What are the assumptions that this idea is based on? Are those assumptions realistic? In what context is the idea successful? In what context does it fail? If techniques are being discussed this would be the time to pressure test them. While it is important to weed out weaknesses in ideas and techniques it is just as important to do so in a constructive manner. It is not about finding weaknesses for the sake of pointing them out. It is about purposefully filtering out the weaknesses in order to make the “final product” as strong as possible. Finally, leading questions are used to in order to advance the discussion to the next idea. They can be used to jump-start a stalled conversation or to link a conclusion to something else. You could think of it as a way to instigate students to “connect the dots” in their own heads. By the way, the act of a student discovering the connections between ideas via his or her own cognition and experience is much more meaningful and lasting than if an instructor just simply spoon-feeds the student the answer. Sometimes the key to solving the puzzle is as simple as asking the right question. This, of course, means knowing which question to ask. Do you want your dojo to be a place for just advanced students? How about a place for just newbies? You are probably better off with a nice mix of both. Advanced students are set apart by their experience. The advantage that experience brings is pretty obvious. Advanced students have been training longer, have made more complex connections, and probably have a higher level of technical proficiency. They can also, most likely, facilitate learning the martial art to a higher degree because of these things. Awesome! We can stop here, right? Not so fast. Experience has many advantages but is not without its own set of problems. No matter how experienced we may become, none of us will ever have all of the answers. It is easy for experienced practitioners to become complacent and set in their ways. They know what works for them; what has always worked for them. They might not see a reason to branch outside of their comfort zone (where things might not immediately work for them). Let’s also not forget how easy it can be to let our egos get involved as we attain those higher ranks. So what about newbies? What could a novice possibly bring to the table? The answer is perspective. Sure, they are new to the specifics of your martial art, but you have to realize that just because someone is a novice in one particular martial art does not necessarily mean that they are a novice overall. They could be a high level practitioner of another martial art or an expert in their field. At the very least, they are human, which means they (just like you) possess the most powerful and creative brain in the animal kingdom and have their own knowledge and experience to draw from. They have things to contribute. In my opinion, it would would be foolish to overlook or dismiss this fact. Experience and perspective complement each other and the merger of the two acts as a catalyst for growth. Advanced students given a opportunity to pass on the knowledge and understanding they have worked hard to acquire. They might have to adopt creative ways to pass on their technical knowledge, which might inspire them to explore the subject at a deeper level. Novice students get the opportunity to share their own perspective and pose questions which more advanced students might have never encountered before. It is also important to remember that everyone brings both a certain level experience and a unique perspective to the table. Leverage it all. Finally, it is important to understand conclusions and put them in the right context. A conclusion is any final product of a challenge. There might be be more than one conclusion to any given challenge. That’s okay and can even expected depending on the challenge presented. A conclusion could be a technique or concept that when pressure-tested was found to be realistic and effective. A conclusion could also be that a technique or concept was found to be unrealistic or ineffective. Don’t get too hung up if the end results aren’t what you expected them to be. That’s okay. Any challenge that results learning is a good challenge and any conclusion that is useful is a good conclusion. One last thing: Conclusions lead to more challenges. A conclusion of one challenge could be the starting point of a new one. Students can grow by going from challenge to challenge with each one building upon another. The deeper you study a subject like martial arts the more apparent it becomes that everything is connected to everything else!